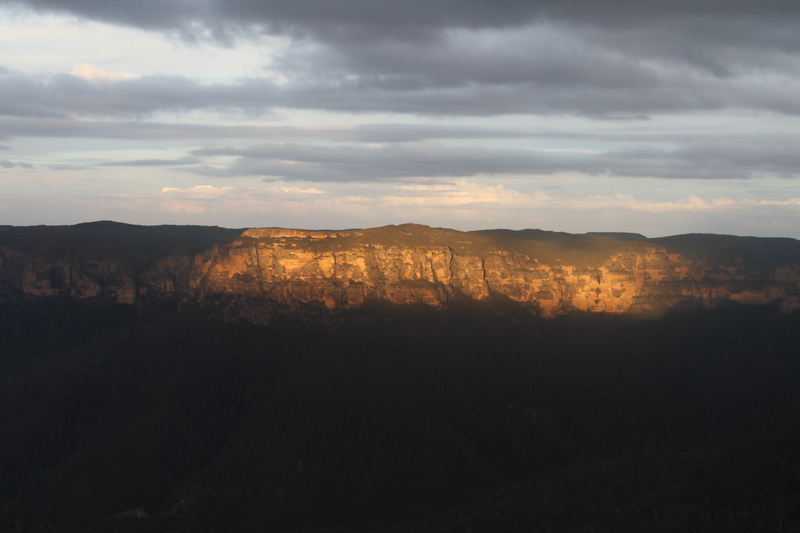 As winter sets in in the Northern Hemisphere, I’ll dig out some photos of the Blue Mountains. We have puffy coats on, leaves are falling and it all looks very autumnal. This is to serve as a reminder, it gets chilly in Australia. Try to remember that when I post up photos of recent beach excursions next week. 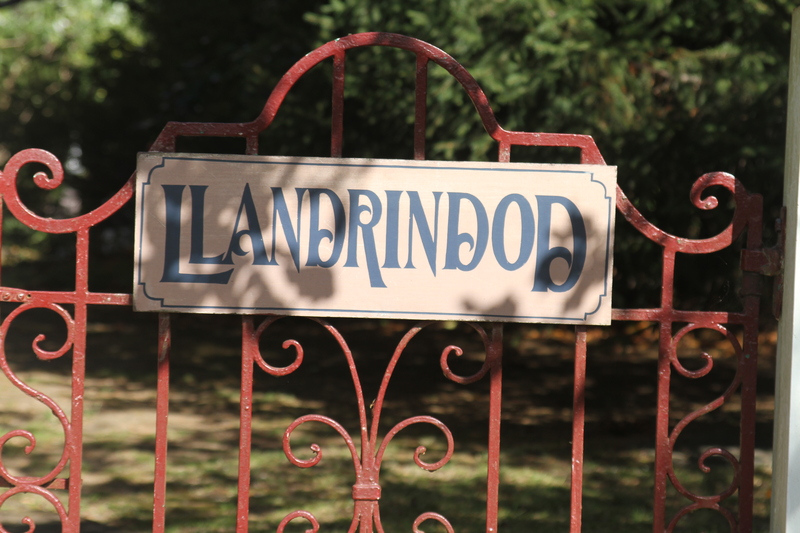 On our first trip to the Blue Mountains, it was cold; we stayed in a charming bed and breakfast called Llandrindod. 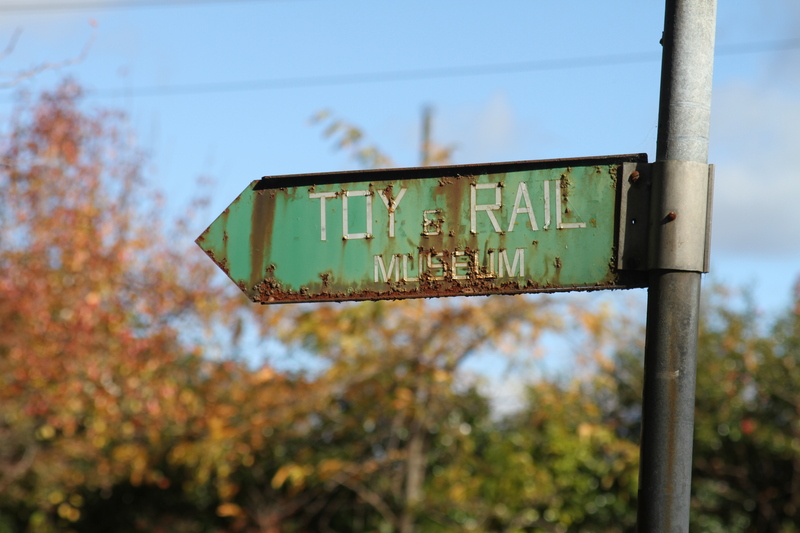 The two-hour train ride into the mountains deposits you in a town called Leura with lovely shops and pretty places to eat. Quiet and quaint, it’s reminiscent of a romantic ride on Metro-North into upstate New York. We never made it indoors during daylight hours, however, there were so many of these views to take in. On our second trip, we visited Blackheath. 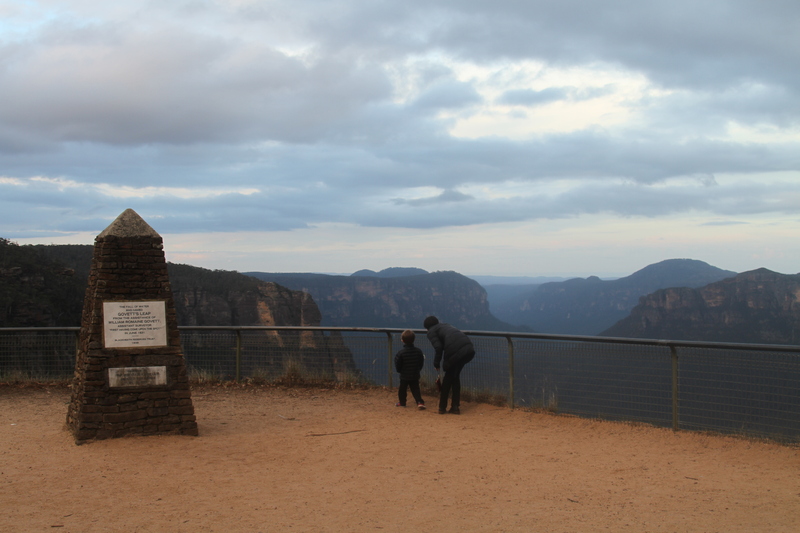 It’s more off the beaten path than Leura and its more well-known counterpart, Katoomba. 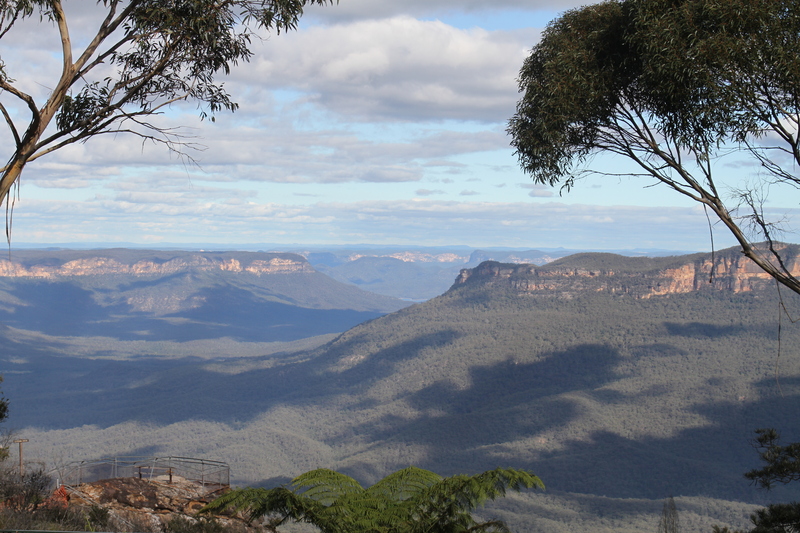 Since the Blue Mountains are just west of Sydney, compared to the Grand Canyon and one of UNESCO’s protected World Heritage Sites (along with almost everything else in Australia), the surrounding towns draw a large amount of tourism with various ranges of accommodation. We chose Blackheath for its understated, local vibe and found Magpie Blue after we dipped into AirBnB territory. Our hostess gave us tips on where to go, what to see and when to see it. With that, she showed us her beautiful tea services stowed away in drawers to use as we wished. Its key was draped over the side attached to a silky blue tassel. She flipped open the lid to reveal dried black tea leaves mixed with tiny blue flecks of dried flower petals. It smelled so lovely, I drank it every morning we were there out of each tea service. Then I went to T2 and bought a whole canister. They have hundreds of teas including Sydney, Melbourne, New York, Brisbane and even Perth breakfast. It can get really cold down under. But not quite as cold as up over!!! Not sure if T2 ships to the US, but it’s worth checking.